Cha Kwo Ling resident Law Ma-sing walks along a narrow sidewalk beside a row of seafood suppliers. On his one side, trucks back up as they parallel park close to the curb, while workers stack boxes and merchants hose down their floors on the other. “We don’t have much space to walk – look. So if there’s a park that can connect to the waterfront, then we would have more open space,” Law, 59, said. Law Ma-sing. Photo: HKFP/Catherine Lai. 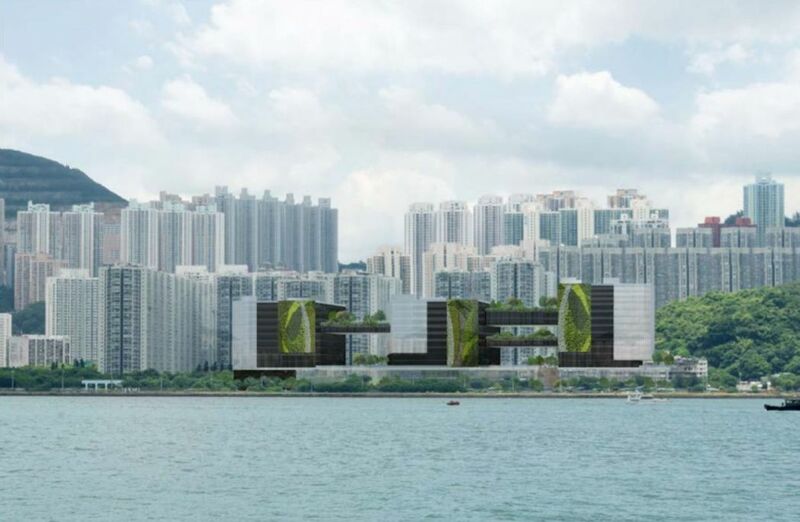 The residents of Cha Kwo Ling, a village in Kwun Tong made up of squatters’ huts and some residential buildings, thought they would be getting a waterfront park connected to the rest of the Kai Tak development by a promenade. A plan that included the park as part of the Kai Tak development was released by the government after it conducted three stages of public consultation between 2004 and 2006. But in 2016, the villagers found out that the government had filed an application to rezone the land and was planning to build a campus for the Vocational Training Council there instead. 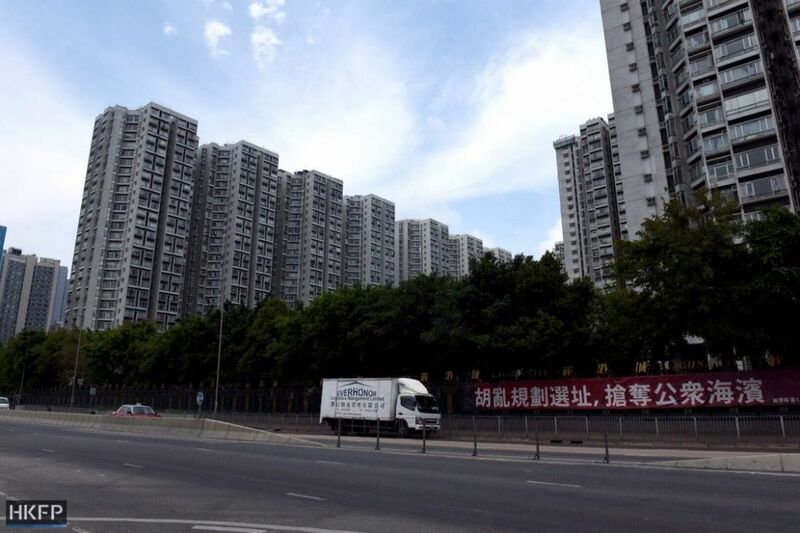 Residents’ groups say that neither Cha Kwo Ling villagers nor those living at Laguna City, a private housing community adjacent to the site, were fully consulted for the plan. Freddy Tse, the vice-chair of a concern group set up by residents to oppose the plan, said Laguna City inhabitants did not find out about the plan to build a VTC campus until one resident spotted a suggestion to rezone a piece of land in a district council document. 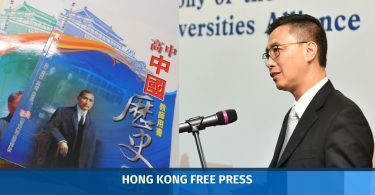 The government sought Kwun Tong district councillors’ views on the plan at the end of 2016, but it was presented to them as one of over a dozen other suggestions and did not state that the campus would replace the waterfront park. A banner opposing the government’s plan at Laguna City. Photo: HKFP/Catherine Lai. 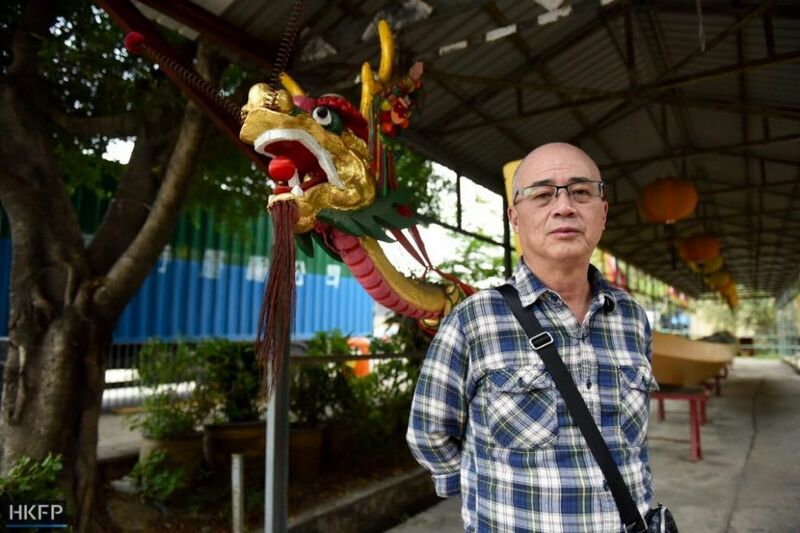 Kwun Tong district councillor Frankie Ngan was not available for an interview, but he previously told RTHK that district councillors did not especially notice or oppose the plan, as there were many points to discuss at the meeting and the replacement of the park was not mentioned by name. 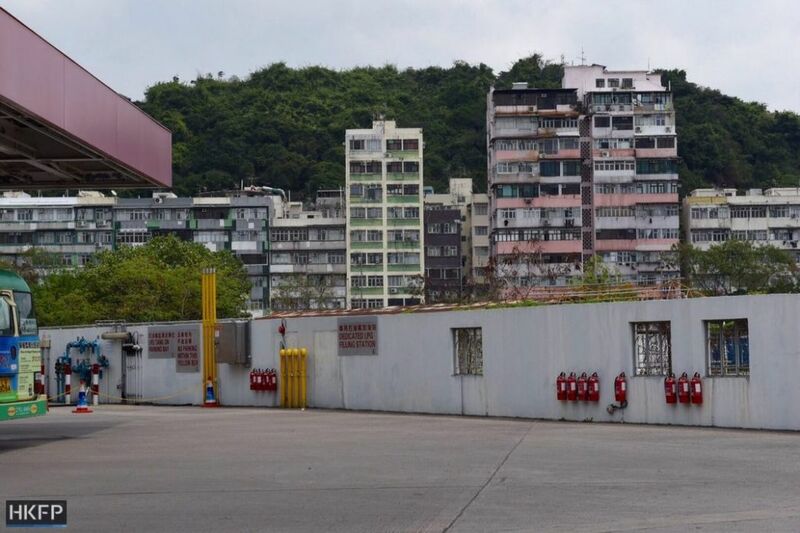 A piece of land measuring 42,035 square metres at Wai Yip Street and Cha Kwo Ling Road was rezoned from “other specified uses” to Government, Institution or Community (GIC) use and gazetted in February. A Sinopec filling station and a temporary soccer pitch currently occupy the space. The concern group’s Tse told HKFP: “The [Planning] Department has always said that it is applying to rezone a piece of [other specified uses] land into GIC. This was very misleading, because it was only through us looking through a lot of material that we were able to find out,” he said. Before (L) and after (R) rezoning. The Cha Kwo Ling Park does not appear on a district council document. 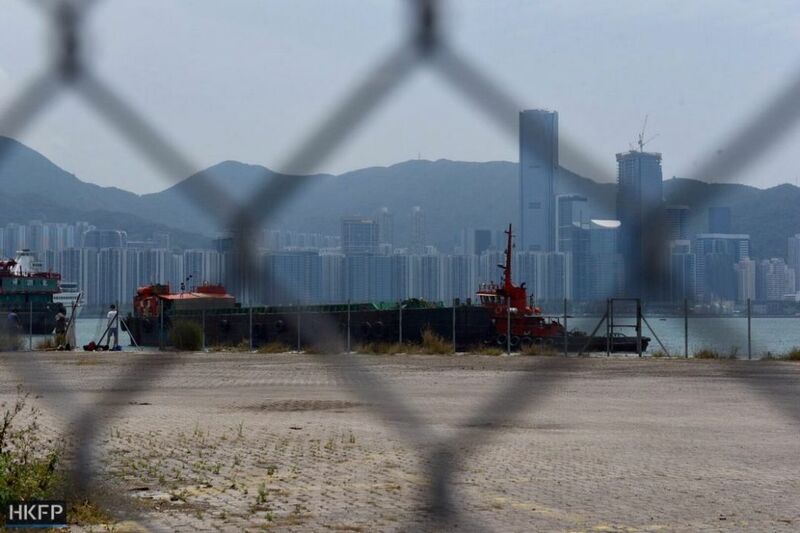 The Planning Department told HKFP that the government chose the site after considering the VTC’s requirements – three to five hectares in an urban area and available for early development. In response to residents’ representations, VTC scaled down its plans last year, reducing its floor area by about 20 per cent. The project would consist of two buildings instead of three, and include a hectare of public open space. The buildings would be 11-14 stories and 60-70 metres high. They must be lower than the residential towers at Laguna City, but would block the view of residential buildings at Cha Kwo Ling, says Tse. A seaside promenade around 660 metres long has remained in the plan throughout. Cha Kwo Ling’s Law Ma-sing, who is the secretary for a Cha Kwo Ling indigenous residents rights group, said the villagers also had no idea about the VTC plan, and only found out through banners that Laguna City residents had put up. Cha Kwo Ling buildings seen from the filling station. Photo: HKFP/Catherine Lai. “We knew about the park, we didn’t know that they were building a school. It was only when those guys at Laguna City barked at them [the government] that we found out,” Ma said. The concern group says the site is the last piece of land that can be turned into a waterfront park at Victoria Harbour. The Town Planning Board received over 10,000 representations from citizens who support withdrawing the VTC plan and building a waterfront park. It will hold a closed-door meeting on Friday to discuss the plan and make its decision. The concern group is planning to hold a demonstration at the government offices in North Point in protest at the same time. 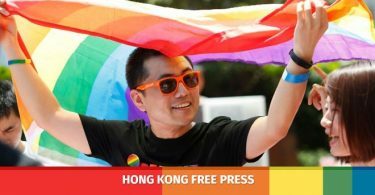 In response to HKFP’s enquiries about the consultation process, the Planning Department said that the Kwun Tong, Wong Tai Sin and Kowloon City district councils, as well as the Harbourfront Commission, were consulted at the end of 2016. Department representatives and VTC representatives also attended a consultation forum organised by Laguna City residents committees in October 2017. Rendering of the original three-building plan for the VTC. Photo: Planning Department. Aside from the visual impact of a large structure on the waterfront, residents are worried that the existing transportation and infrastructure would not be able to handle the influx of people. The concern group says the government’s assessment reports do not fully show the impact of the project on the surrounding area. “Food is also a problem, there’s not much here to accommodate that… I’m just afraid they’re going to take all the spots and we’re not going to get to eat,” he said. The concern group plans to file a legal challenge should the plan be approved by the Town Planning Board. He said Laguna City’s residents were not being greedy, and only wanted the government to keep its promise.